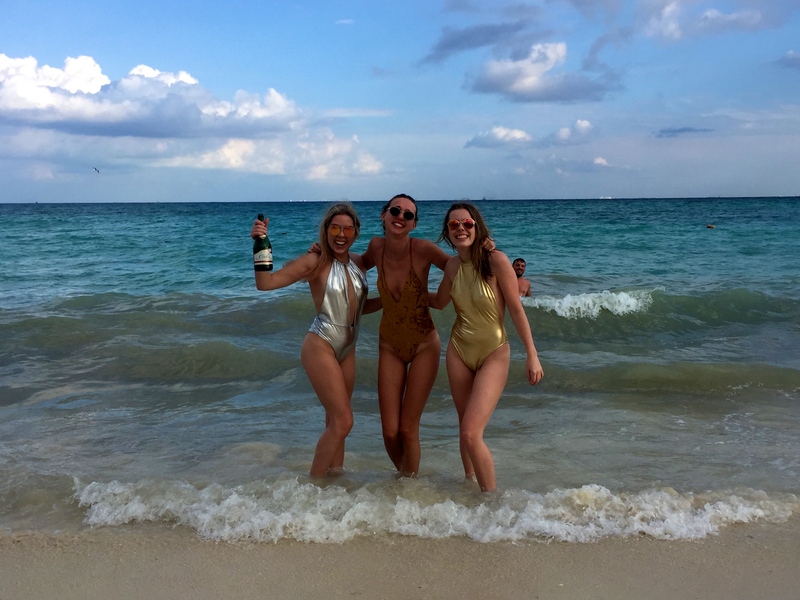 We first had a few days in Playa del Carmen – well known for its massive amounts of tourists and crazy parties. Not the typical place I usually choose to visit, but we wanted to spend New Years Eve somewhere with big parties and a lot going on. As we flew into Cancun, it was easy to take the ADO bus (1,5 hours) to Playa del Carmen. Playa del Carmen might not be the most exciting place during daytime, but there are loads of day trip opportunities. You can for example go to Chichen Itza, Tulum, Isla Mujeres or visit many other ruins, islands and cenotes in the area. Chaak Tun is a cenote located a 15 minutes drive from Playa del Carmen city center, and we went there to get a few hours break from the sun. Compared to Ik Kil Cenote, which I visited on my last trip to Yucatan, there were less tourists, but the cenote was not as impressive. The cenotes at Chaak Tun are located inside caves, which are quite cool. The big drawback is that you have to take a guided tour to swim in them. First of all, it is quite expensive (500 pesos including guided tour for 1,5 hours, equipment and entrance). Second, the guide spent too much time talking about irrelevant stuff (why tell me about Maya temples when I’m in a cenote to swim?). Not the most exciting excursion, but a good choice if you want to do something different in Playa and don’t want to go away for the whole day. We left Playa del Carmen around 9.30 and were back at 12. 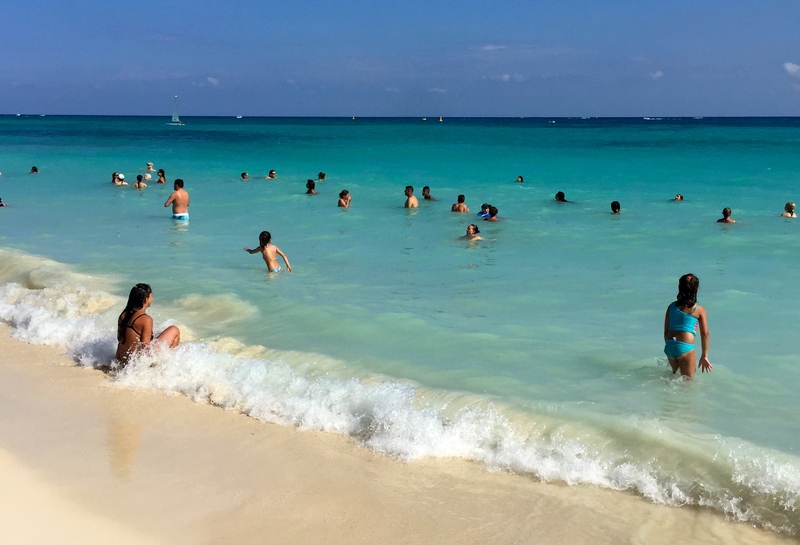 The beaches in Playa del Carmen are CROWDED. Beautiful, but sooo many people! I know, Playa del Carmen is probably tourist place number one in Mexico – but still, I was quite surprised. Playa is not the place to go if you want a quiet and relaxing beach holiday. On the other hand, if you are looking for the party of your life – Playa is perfect. Along the beach there are a few beach clubs, Coralina Daylight Club at Hyatt being the best (and the most expensive one…). The “party street” is filled with bars, pubs and clubs, one playing louder music than the other. Being Norwegian girls, all clubs are trying to get us in with free drinks and it is all a big chaos. Fun for a couple of days, but I have to admit – I was happy when I left Playa del Carmen for Isla Holbox, a small, quiet island a couple of hours away. 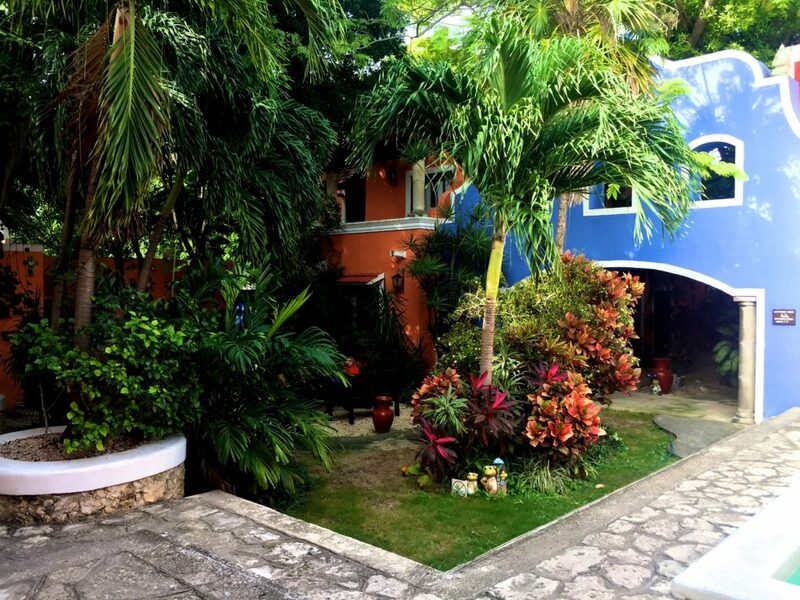 We stayed at Casa de las Flores in Playa del Carmen, which was an amazing oasis in the middle of the city. 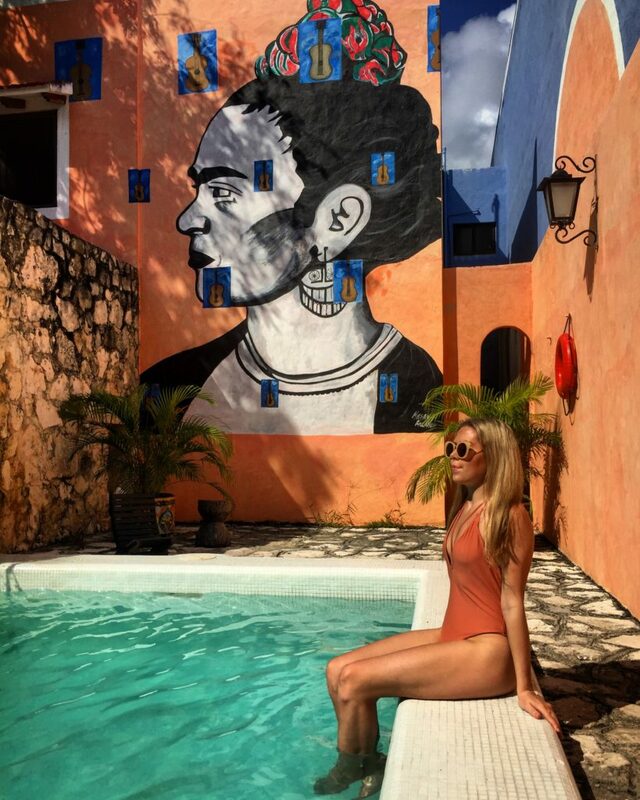 The hotel has high quality, and on the same time it has a lot of charm with all its colors, the pool and the Frida Kahlo painting. If you are looking for a place to stay in Playa del Carmen, this is it! This entry was posted in Mexico by Maria's Adventure. Bookmark the permalink.